23. 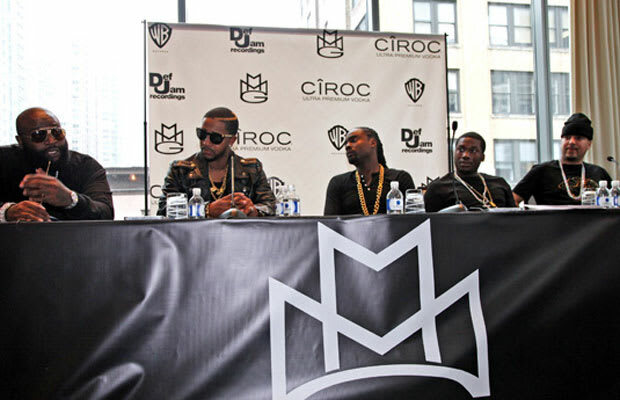 Omarion Renames Himself "Maybach O"
The entire rap world was watching when Maybach Music Group orchestrated a press conference in May to make a big announcement. We speculated over things that Rick Ross may announce but when the big moment arrived, nobody expected former B2K member Omarion to grace the stage as MMG's newest signee. “A lot of people have been wondering what’s up with Omarion?," he said at the conference. "Is his career over?" Well, apparently not. But in joining the crew, Omarion turned a new page in his career. And so he took a new family nickname: "Maybach O." He even got it tattooed on his hand, which is a shame because that name is a fail.